Princess Sparkle Pony's Photo Blog: Photo Fun: Can You Spot the Bodyguards? 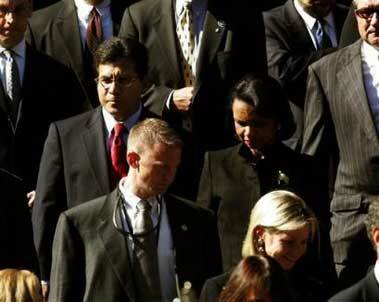 Photo Fun: Can You Spot the Bodyguards? To be honest, I was kinda hoping for a veil, like the one she wore to the Pope funeral, just for the thrill of raising the Hairdo Alert Status, but alas. I just bet she's wearing those new Ferragamos, though. seems to me that the smiling blond in the lower right corner might be in some will, eh?